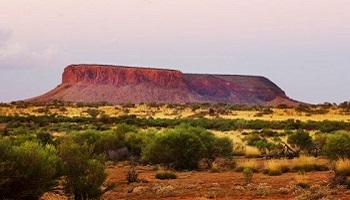 100 kilometres east of Uluru in Australia's vast Red Centre is the third of the great monoliths, Mount Conner. 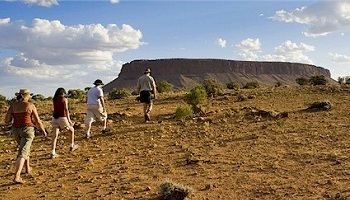 Your tour follows 4WD tracks and a landscape which betrays a fascinating geological past. 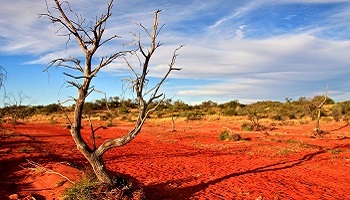 Incredible salt lakes remain as a legacy of ancient inland oceans; examine fossilised remains of the oldest life forms on earth and enjoy the beauty and remoteness of Australia's rugged outback. This tour provides a great opportunity to see native animals such as kangaroos and lizards in the wild and to reflect on the quietness and loneliness with a complimentary glass of bubbly and canapés as changing colours at sunset strike this imposing mountain plateau.